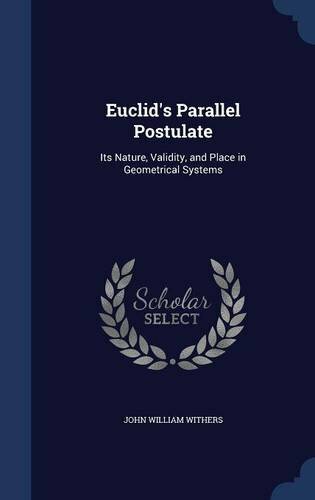 The parallel postulate is the only distinctive characteristic of Euclid. To pronounce upon its validity and general philosophical significance without endeavoring to know what Non-Euclideans have done would be an inexcusable blunder. For this reason I have given in the following pages what might otherwise seem to be an undue prominence to the historical aspect of my general problem.